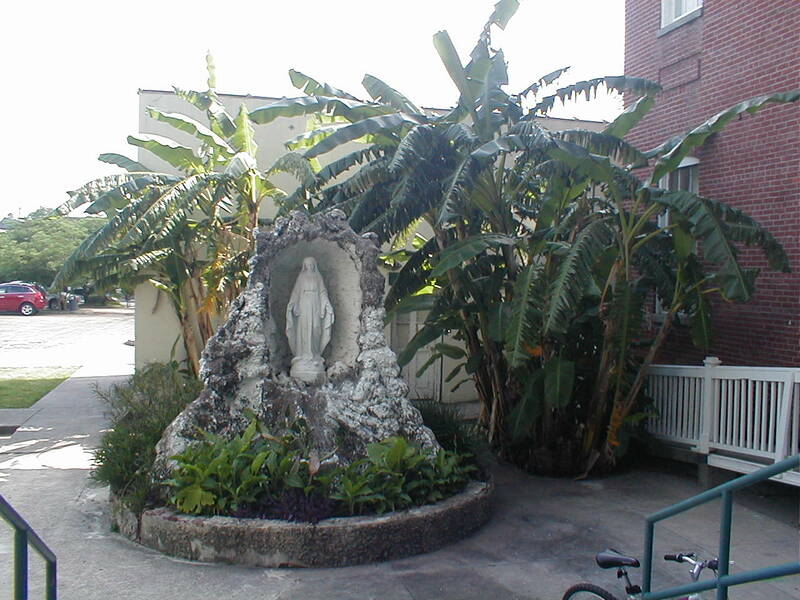 St. Vincent Guest House grotto, May 2013. According to the website, the St. Vincent Guest House started life as an orphanage. In the 1970s it became a home for unwed mothers.